The Guardian newspaper today printed a letter from over 100 British Jews, including yours truly, making it clear that in the midst of the ruling class’s celebrations of the establishment of their regional rottweiler, Israel, they would not be welcoming the 60th anniversary of the Nakba – the expulsion of the Palestinians from their homes and lands and the massacres that accompanied it. It is but a small contribution from Jewish anti-Zionists, but it makes it clear that not all Jews support the establishment of the Israeli state or its terrorist activities since then. In case anyone things I have made this up, then I suggest you go read the utterly crazy essay by Atzmon, 'NOT IN MY NAME’ – An analysis of Jewish righteousness’ in which all the above quotes appear. 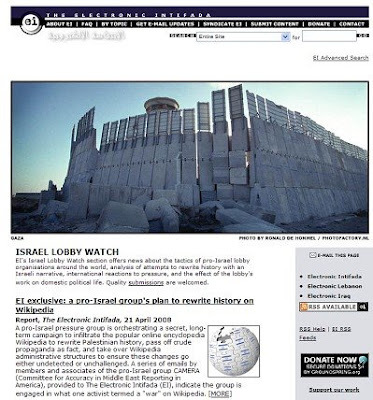 Mary Rizzo when contacted replied that ‘once again we see the gatekeepers putting Jewish interests above those of the Palestinians.’ Her faithful Palestinian echo, Adib S. Kawar, when asked for a response said that he’d have to talk to Mary first before he could say anything. Below is an open letter from Dr. Haidar Eid to Nadine Gordimer, a well known novellist and someone who was active in the anti-Apartheid struggle in South Africa. Gordimer was also the daughter of a refugee from the pogroms of Czarist Russia. She, of all people, should understand why it is wrong to 'celebrate' the founding of another apartheid state. She can be written to via her publishers, Bloomsbury Books. Nadine Gordimer on her decision to participate in "Israel at 60 Celebrations"
I am a Palestinian lecturer in Cultural Studies living in Gaza. I happen to also have South African citizenship as a result of my marriage to a citizen of that beloved country. I spent more than five years in Johannesburg, the city in which I earned my Ph.D and lectured at both traditionally black and white universities. At Vista in Soweto, I taught your anti-apartheid novels My Son's Story, July's People and The Late Bourgeois World. I have been teaching the same novels, in addition to The Pick Up and Selected Stories, to my Palestinian students in Gaza at Al-Aqsa University. This course is called "Resistance, Anti-Racism and Xenophobia". I deliberately chose to teach your novels because, as an anti-apartheid writer, you defied racial stereotypes by calling for resistance against all forms of oppression, be they racial or religious. Your support of sanctions against apartheid South Africa has, to say the least, impressed my Gazan students. The news of your conscious decision to take part in the "Israel at 60" celebrations has reached us, students and citizens of Gaza, as both a painful surprise, and a glaring example of a hypocritical intellectual double standard. My students, psychologically and emotionally traumatized and already showing early signs of malnutrition as a result of the genocidal policy of the country whose birth you intend celebrating, demand an explanation. They wonder in amazement that you might have missed Archbishop Tutu's contention that conditions in Israeli-occupied Palestine are worse than those under apartheid? They ask how you can ignore John Dugard's dispassionate and insightful report on the dismal state of Human Rights in the Occupied Territories? Surely, you have not been unaware of Ronnie Kasrils' writings following his latest visit to Gaza and the West Bank? Like you, these three men, all South Africans, were also active in the fight against racism and apartheid. Dugard's words on Palestine are very significant: "I certainly have a sense of déjà vu... The sad thing is that Israel is unwilling to learn from the South African precedent." In an article titled, "Israelis adopt what South Africa dropped," Dugard observed that the human rights situation in the occupied territories continues to deteriorate and called the conditions "intolerable, appalling, and tragic for ordinary Palestinians." Significantly, Dugard made shocking parallels between the situation in the Palestine and your country South Africa under apartheid: "Many aspects of Israel's occupation surpass those of the apartheid regime. Israel's large-scale destruction of Palestinian homes, leveling of agricultural lands, military incursions and targeted assassinations of Palestinians far exceed any similar practices in apartheid South Africa." Moreover, in its final declaration, the World Conference against Racism (WCAR) NGO forum, held in Durban in 2001, stated that: "We declare Israel as a racist, apartheid state in which Israel's brand of apartheid as a crime against humanity has been characterized by separation and segregation, dispossession, restricted land access, denationalization, ‘bantustanization' and inhumane acts." You are no doubt aware of Israel's deep ties with apartheid South Africa, during which Israel, breaking the international embargo, supplied South Africa with hundreds of millions of dollars of weapons. Apartheid South Africa relied on apartheid Israel to persuade Western governments to lift the embargo. How did you relate to Israel during that period and what was your position regarding countries and individuals that did not support the policy of isolating apartheid South Africa? You were surely critical of the infamous policy of 'constructive engagement' led by Thatcher and Reagan at the height of the struggle in the 80s? And today, inexplicably, you have joined the ranks of sanctions busters. The eminent Palestinian, Edward Said, who gave you his friendship, would have been dismayed by your decision. He named you as a model for what he called, "oppositional intellectuals." It was his strong belief that, with regard to Israel, "[i]t only takes a few bold spirits to speak out and start challenging a status quo that gets worse and more dissembling each day." 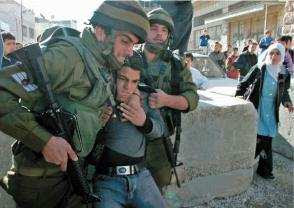 Little did he know that you would fail the oppressed in Palestine. Dr. Haidar Eid is an Associate Professor in the Department of English Literature, Al-Aqsa University, Gaza Strip, Palestine. The first International Writers’ Festival is scheduled to take place 11-15 May 2008 in Jerusalem, just three days after Israel’s official celebrations of 60 years of independence. Substantially financed by the Israeli Foreign Ministry, this festival must necessarily be seen in the context of the Israeli government’s wider public relations campaign to bring international artistic, cultural and political figures to brighten the state’s image on the international stage. The Alternative Information Center (AIC) calls on those who are working for social justice, along with Palestine solidarity groups from around the world to contact the participating authors, particularly those from their home countries, and encourage them to boycott this event in solidarity and support of a just peace for Palestinians and Israelis. 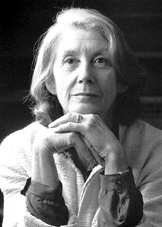 The AIC is particularly disturbed by the participation of Nobel Prize winning author Nadine Gordimer, who was an active opponent of apartheid in her native South Africa. Ms. Gordimer may be contacted via her publisher, Bloomsbury Publishing (Telephone: +44 (20) 7494 2111; Postal address: Bloomsbury Publishing Plc, 36 Soho Square, London W1D 3QY). Most Israeli authors and other cultural figures have deep concern for the opinions of and working relationships with international authors, such that this boycott can make a substantial impact within Israeli society. It is not possible that Israel continues to deny the human and national rights of the Palestinian people, to impose a deadly siege on the Gaza Strip and publicly flaunt its international political commitments by building additional settlements in East Jerusalem and the West Bank, while its authors and cultural figures are honored with visits by distinguished international authors. Israeli society must be told loudly and clearly that it cannot act with complete impunity toward the Palestinian people and still enjoy privileges and honors of a law-abiding state. 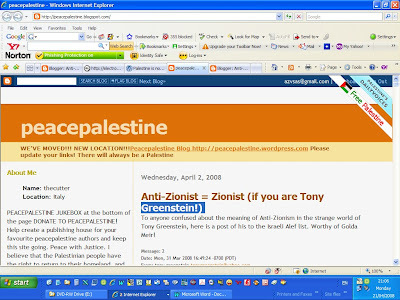 It is gratifying to announce that the anti-Semitic sewer, going by the name of 'PeacePalestine' has now died a death. After I had it taken down for a day or so, because of its libellous comment, Google decided in any case it was a 'spam' blog. Who are we to disagree?!!! Naturally the last article on it was dedicated to the lying assertion that 'Anti-Zionist = Zionist (if you are Tony Greenstein!)'. In fact it is only anti-Semites who believe that all Jews are Zionists and therefore even anti-Zionists Jews are still Zionists. Ironically the last article, picking up in her usual dishonest way, on a discussion on the Alef (Academic Left list hosted by Haifa University) where I stated that the creation of a Palestinian nation was ironically the outcome of Zionist colonisation, was proof that I was a Zionist! According to Rizzo: 'The Palestinians were a people since the time they inhabited that land'. But the mere fact that people occupy a land doesn't make them a people or nation. Until recent times the Palestinians were no more a people, nor did they see themselves as such, than the ancient Hebrew, Jebusite, Canaanite and many other tribes and clans. It was Zionism which welded the indigenous population of Mandatory Palestine into a nation. On this basis Rizzo tricked one Ismail Zayid, who has subsequently accepted that I was misinterpreted, into arguing in an article below Rizzo's that 'The Arab population of Palestine was native in all the senses of the word and their roots in Palestine can be traced back at least forty centuries." Of course I never argued that this was not the case. Not only can the Arab population of Palestine be traced back centuries, but it is highly likely that it is today's Palestinians who are the descendants of the Jews who converted to Christianity, whereas the Israeli Jews of today are no more than European settlers who have no more connection with ancient Palestine than the Norsemen. It is therefore highly ironic that Rizzo's new blog, on Word Press, carries an article suggesting that.... the Palestinians aren't a nation!!! By Adib S. Kawar it is entitled 'Palestine is not a nation, Palestinians are part of the Arab Nation'. So who are the Zionists now?!!! If you were to listen to the Zionist propagandists, then Hamas is the incarnation of evil, a movement dedicated to the extermination of Jewish people no less. Of course the reality is somewhat different. Despite their Islamist politics, which includes putting praise for the Protocols of the Elders of Zion in their Covenant, their politics - like those of all religious nationalists, are extremely confused. And we shouldn't of course forget that the Israeli State played a key role in helping foster and create Hamas in the first place, as a counterweight to secular Palestinian nationalism. Sixty-five years ago, the courageous Jews of the Warsaw ghetto rose in defense of their people. We Gazans, living in the world's largest open-air prison, can do no less. Judaism -- which gave so much to human culture in the contributions of its ancient lawgivers and modern proponents of tikkun olam -- has corrupted itself in the detour into Zionism, nationalism and apartheid. Then there is the inter- clan Palestinian fight: "We were told to go over there and find out what was happening. Our [platoon] commander was a bit screwed in the head. So anyway, we would locate houses, and he'd tell us: 'OK, anyone you see armed with stones or whatever, I don't care what – shoot.' Everyone would think it's the clan fight..." Did the company commander know? No one knew. Platoon's private initiative, these actions." Or using a 10-year-old child to locate and punish a 15-year-old stone-thrower: "So we got hold of just some Palestinian kid nearby, we knew that he knew who it had been. Let's say we beat him a little, to put it mildly, until he told us. You know, the way it goes when your mind's already screwed up, and you have no more patience for Hebron and Arabs and Jews there." Not every soldier serving in Hebron becomes an "animal". Iftach Arbel, 23, from an upper-middle class, left-of-centre home in Herzylia, served in Hebron as a commander just before the withdrawal from Gaza, when he thinks the army wanted to show it could be tough with settlers, too. And many of the testimonies, including Mr Arbel's, describe how the settlers educate children as young as four to throw stones at Palestinians, attack their homes and even steal their possessions. To Mr Arbel, the Hebron settlers are "pure evil" and the only solution is "to remove the settlers".